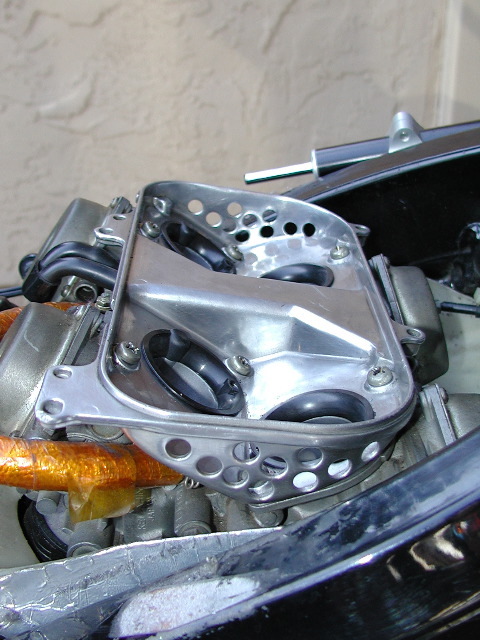 NC30 HRC carb setup side view (right side). Note the silver underside of the air scoop/tray. This is heat shielding to keep the carburetors and fuel tank cool.